The best-selling full day, interactive guided tour will take you thru the best of Hong Kong in one day. Tour begin with a visit the Central Business District (CBD) of Hong Kong – Central, where you will be given photo taking time at the famous landmark – Former Legislative Council and Statue Square. Afterwards, tour will proceed to ride the Peak tram to the Peak and visit Sky Terrace 428 (Highest viewing platform in Hong Kong). From the peak, you will be driven to Aberdeen fishing village and you may choose to ride the sampan (own expenses). As Hong Kong is known as a shopping paradise, an exclusive access to the QTS award winning TSL jewellery (accredited by the Hong Kong Tourism Board) is included for you to purchase goods with our exclusive offers. From 1.1.2019, tour will visit a brand new attraction, Tai Kwun. Tai Kwun is the latest declared monuments in Hong Kong and it represents a wide range of heritage, contemporary art, performing arts and lifestyle experiences in the restored and revitalised Central Police Station compound, which comprises three Declared Monuments, the former Central Police Station, the Central Magistracy and Victoria Prison. After visiting the Tai Kwun, you will take the Star ferry (oldest transportation in Hong Kong) across the Victoria Harbour to Kowloon for a stop at the Old Clock Tower (built in 1915). Lastly, you will be on board Bauhinia Harbour Cruise to enjoy a buffet dinner on board while watching "A symphony of lights" show. 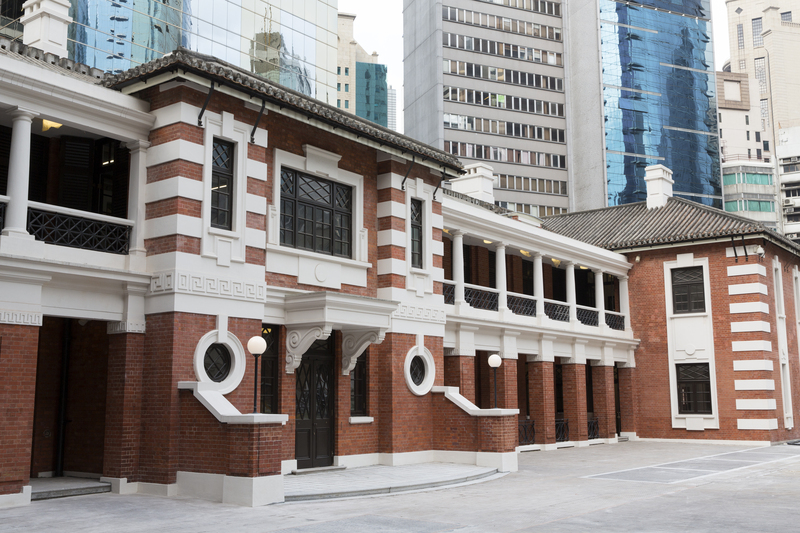 Just opened in 2018, Tai Kwun located in Central represents a wide range of heritage, contemporary art, performing arts and lifestyle experiences in the restored abd revitalized Central Police Station compound, which comprises three Declard Monuments, the former Central Police Station, the Central Magistracy and Victoria Prison. 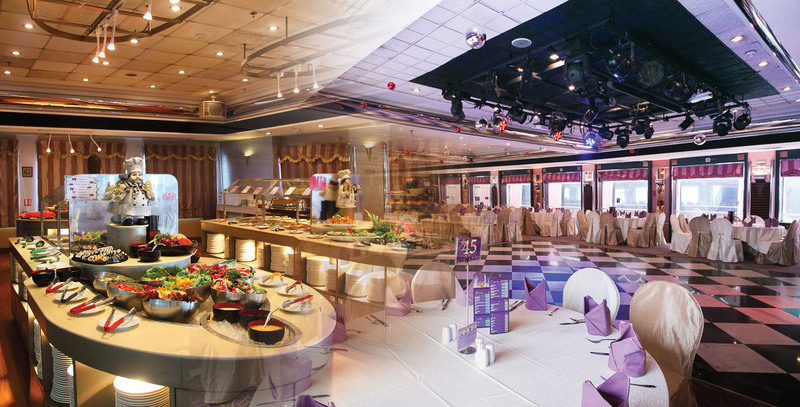 World's "Largest Permanent Light Show"
Tour price include air-conditioned sightseeing coach round trip hotel transfer, guided service, tram ticket to the Victoria Peak, admission to Sky Terrace 428, Star Ferry to Kowloon side, and “A Symphony of Light” Dinner buffet cruise Bauhinia. Standing at 428 metres above sea level, it is the highest viewing platform in Hong Kong. The new “Hong Kong Sky Tour” audio guide will help you to explore HK’s architecture, cuisine, neighbourhoods, culture and history while enjoying the 360-degree panoramic view of Hong Kong. Dwarfed by the skyscrapers of international financial institutions, the charming Legislative Council Building in Central was built on reclaimed land using hundreds of Chinese fir-tree piles as foundations. It was opened by Governor Lugard in 1912 and was home to the Supreme Court until 1985 when it was converted for its present use. ​Preserved as a historical monument, the two-storey neo-classical building is supported by ionic columns. Its most outstanding feature is the central pediment that contains the statue of the Greek Goddess of Justice, Themis who is blindfolded and holds a scale. PMQ is a site with several layers of historical significance. It has been revitalised as a hub for creative and design industries. In 1889, the Central School was relocated here from Gough Street. This was the first school providing a Western education at the upper primary and secondary levels to Chinese students. It was popular with the colony’s growing middle-class Chinese merchants. 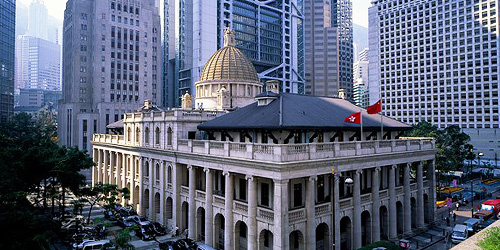 Renamed as Victoria College and then Queen’s College, its alumni includes some of Hong Kong’s most successful and influential business tycoons. During the Second World War, the building was severely damaged and had to be demolished. In 1951, the site started its next incarnation as the Hollywood Road Police Married Quarters — the first dormitory for Chinese rank and file police officers. Hong Kong’s population was rapidly expanding at the time and the need for a larger police force was urgent. The provision of living quarters was an attractive staff benefit. The site included 140 single rooms and 28 double rooms, with a semi-open design that allowed greater interaction between the residents. Most of the police officers living there would have worked in the nearby Central Police Station. In 2009 the site was listed as one of eight projects under ‘Conserving Central.’ Architecturally, it represents the typical modern style commonly found in the post-Second World War period, which is characterised by a functional and pragmatic approach on elevations and interior layout, with minimum decoration and spatial articulation. Renamed as PMQ, the site is now a hub for design and creative industries. Its buildings have been retained, reinforced, refurbished and upgraded for new uses. Residential units have been converted into design studios and shops, offices for creative enterprises and lodging for visiting designers. The top floor of Block B is now a roof-top restaurant with a mezzanine floor. 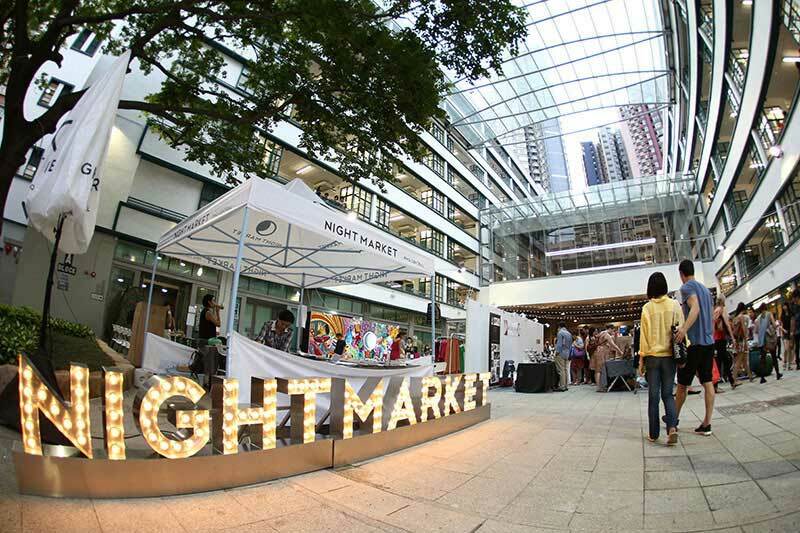 Almost 100 design and creative enterprises are stationed in PMQ. Around half the tenants are in the fashion and household product design sectors with the rest in creative design categories such as fashion accessories, food, furniture, jewellery and watches, design services and design galleries. Exhibition space and event facilities are also available. 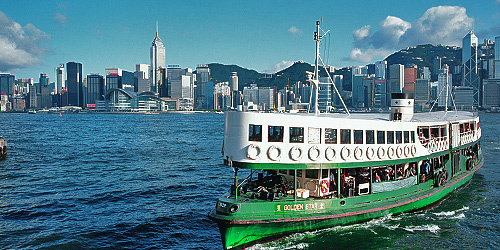 Enjoy the charming Star Ferry boat to Central.